In part 3 of our food focus guide, it’s time to talk cocktails! 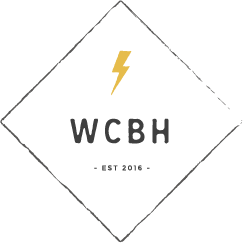 Here at We Can Be Heroes Photography, we’re all about doing your own thing. And one trend which definitely allows couples to get creative is the cocktail station. 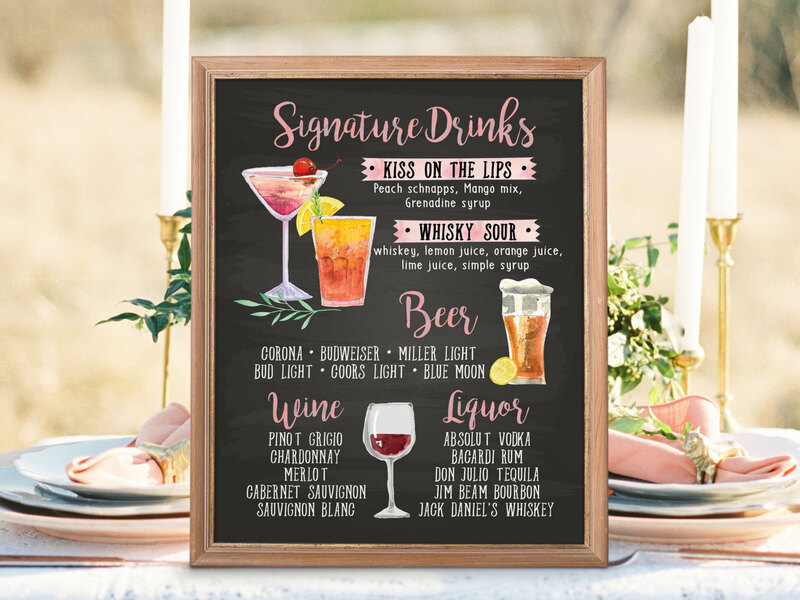 Whether it’s an intimate gathering or super large wedding, treating guests to a cocktail station is an effortless way to keep them entertained between the ceremony and reception. 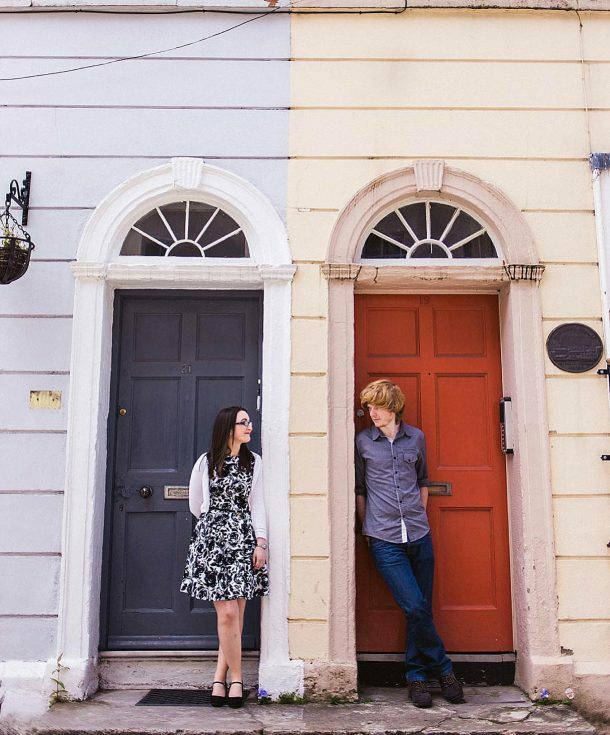 Plus, it offers the perfect photo op. Whether you fancy creating your own signature concoction, serving a classic cocktail or dreaming up a bar setting which perfectly complements your wedding day theme, here’s a little #inspo, thanks to our irresistible wedding cocktail station ideas. 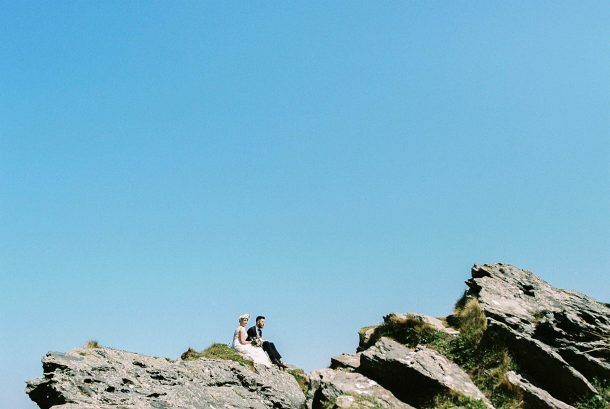 Lucky enough to be getting married in warmer climes? This option is perfect! 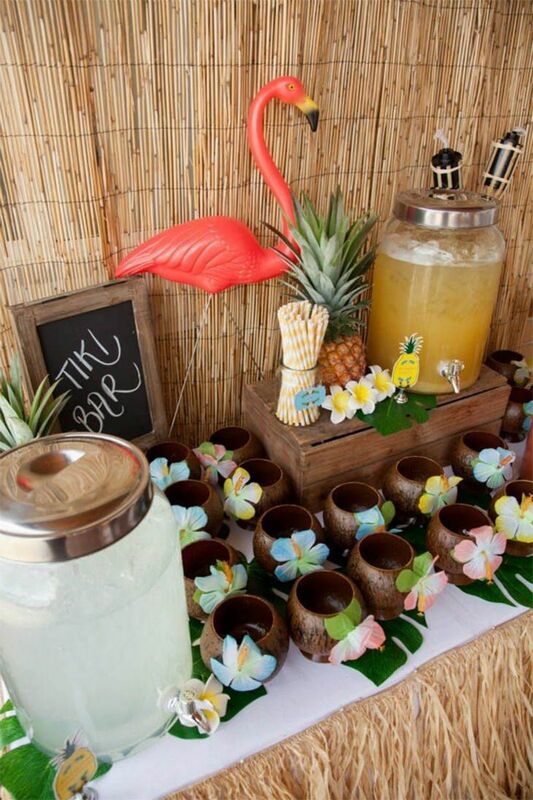 Take guests on a tiki trip with a bright and retro tiki bar. Colourful tassels or an abundance of straw will enhance the set-up, while a mix of colourful barware, quirky glasses and palm leaves aplenty will really bring your theme to life. There’s no denying that mimosas are the perfect way to start the day and a classy option for your wedding day for sure. Stay stylish with a chic table cloth, add an oversized chalkboard and fill the area with pre-filled jugs, ready for pouring. Finally, garnishes of fruit will allow guests to pimp their prosecco as they wish. For a more traditional set-up, offer guests a few choices. 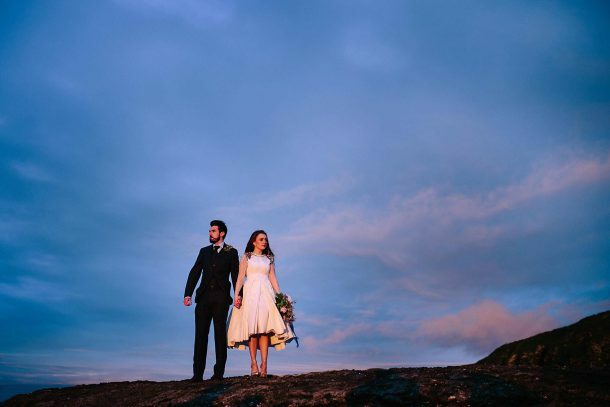 Hire a barman to prepare classics or add a twist with your own signature wedding day cocktail, which perfectly portrays your vision for the day. 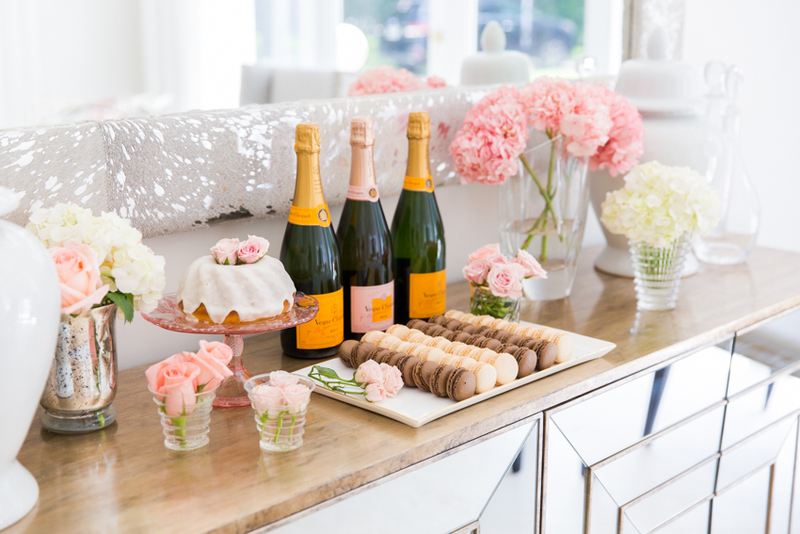 For a more modern wedding day vision, we love the idea of a chic Champagne bar. Add tones of flowers to style it up and finish it off with macarons for a touch of indulgence, sure to be a hit with guests. 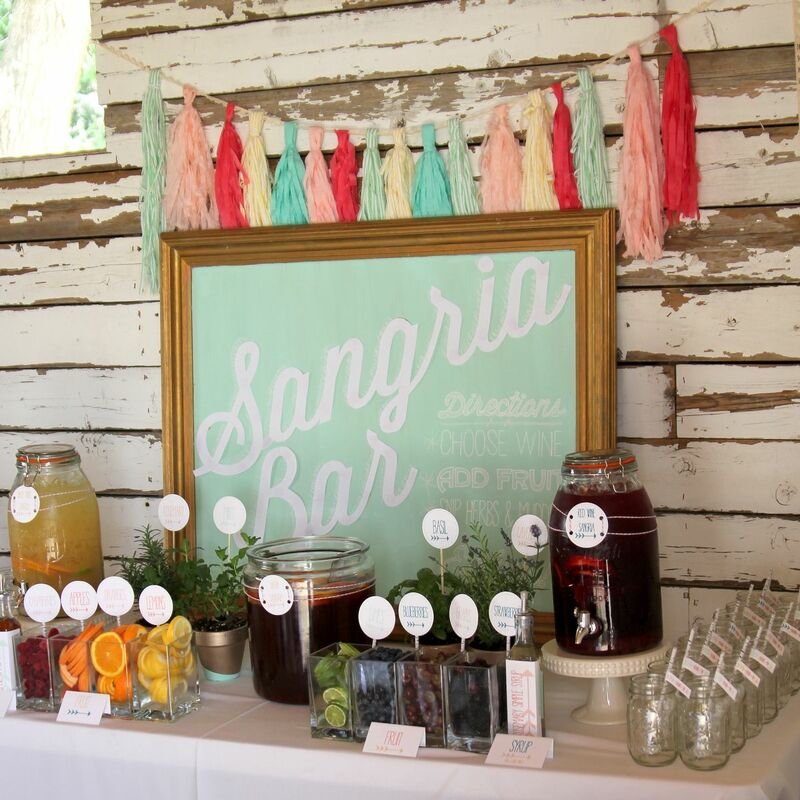 A streamlined sangria bar is simple yet super stylish, and guaranteed to impress guests. Pre-filled jugs of red and white wine allow guests to help themselves, while the addition of fruit means they can create their own flavoursome sangria. If you’d prefer to keep things simple, the classic margarita is always a winner. 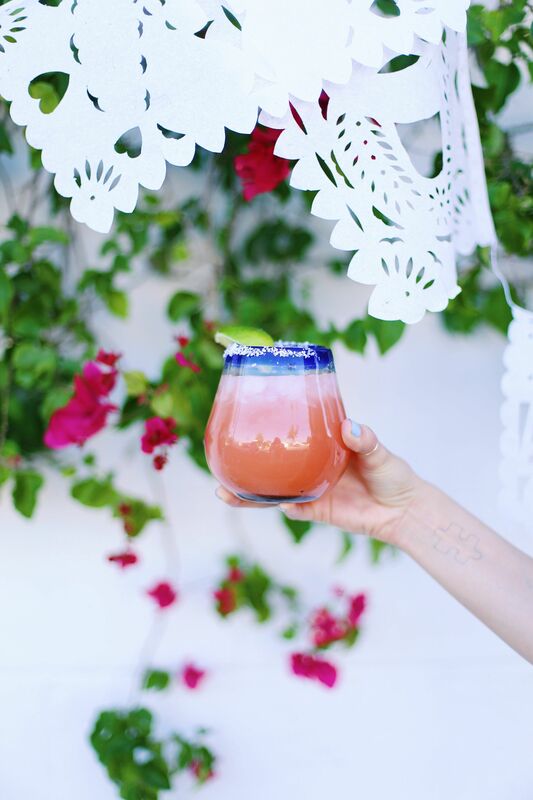 Ideal for a destination or summer wedding (but definitely not confined to), add a Mexican influence to your station to really bring this theme to life. Plus, Margaritas can be created in big batches prior to the wedding for a super easy option. 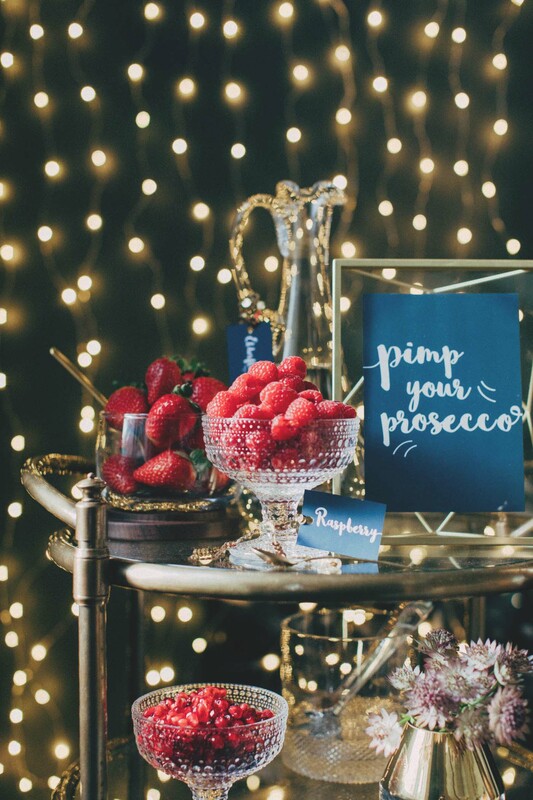 Whichever wedding cocktail station you choose, it’s sure to go down an absolute storm!